FandangoNOW brings you movies and TV shows anywhere and anytime. 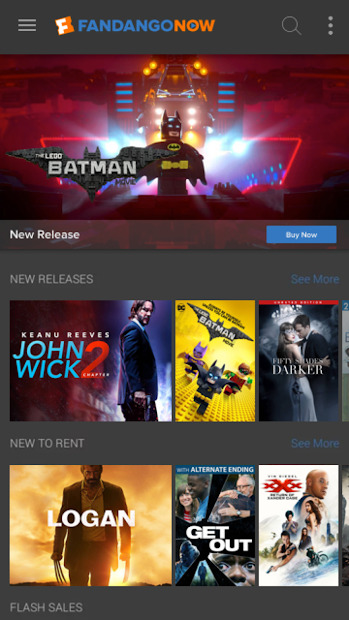 From new releases to classic favorites, this app for Android lets you instantly rent or buy movies and TV shows offline and on the go. Search and watch over 50,000 new releases and classic favorites­. 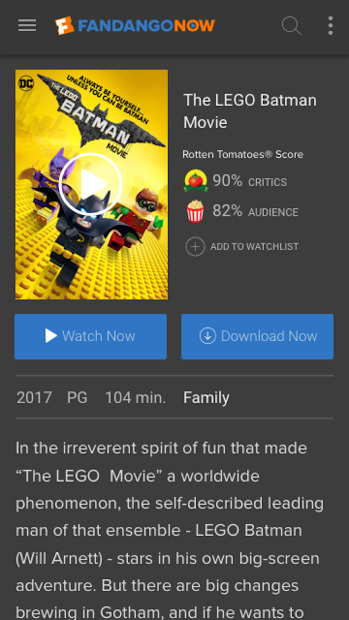 You can browse movies and TV shows, view their Rotten Tomatoes scores, and add them to your Watchlist. With every stream, the app get better at recommending movies and shows you’ll love.